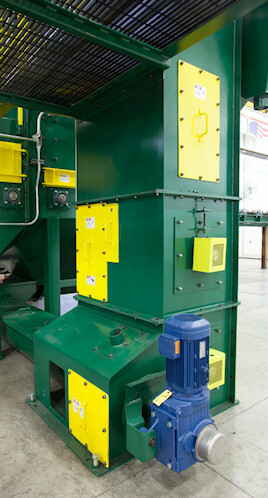 Blast Cleaning Technologies offers a variety of elevator assemblies, complete with upgraded shaft mounted gear motors. Our elevators are constructed of AR Steel with heavy-duty head and boot pulleys. We offer elevator belts including: heavy duty black belts, PVC belts, oil resistant belts and high temperature belts. Elevator buckets may be purchased separately.